This is by far one of my favorites! This rockin' Style Fringe Statement Necklace will give your outfit that last touch it needed!!! 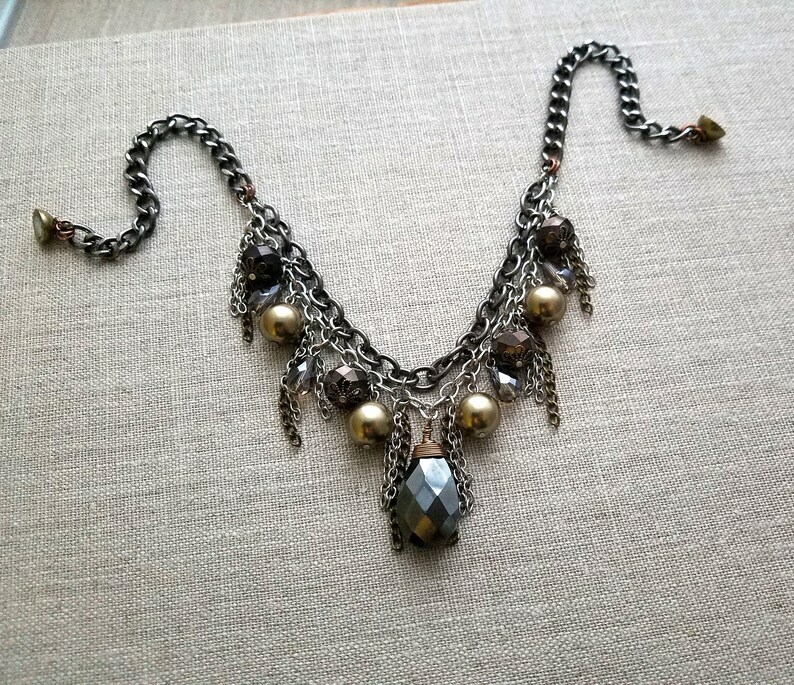 High Quality Faceted Cut Glass Crystals dress this necklace, colors ranging from grey bronze glass pearls, blues, blacks, light grey and clear crystals. The gunmetal chain is high quality...enjoy Rockin' this necklace!! !